If there's a group in this World Cup where it's harder to pick the two strongest teams to advance into the knock-out stages, that has to be Group C. Even though Colombia is still regarded by many as the main favorite to finish on the top of the group, they won't be able to count with their star player Radamel Falcao and that's something big enough to drastically reduce their chances of going far in this tournament. Nevertheless and in our opinion, this Colombian side is still expected to be able of overcoming the threats posed by Greece, Ivory Coast and Japan with more or less difficulty. These 3 teams will probably battle each other for the 2nd spot of the group, but we can't resist but to pick the Ivory Coast as the team to follow Colombia into the last-16 stage. Colombia qualified to this World Cup after an outstanding set of performances in their continent's group stage qualifiers. They finished 2nd in the CONMEBOL table and that allowed them to earn a direct entrance into this summer's WC. They've only fallen behind Argentina, who in their turn got to clinch the first place of the group by finishing 2 points ahead of Colombia. Over the last few weeks and days, the biggest concern about this Colombian National Team was to know if their star player Radamel Falcao was going to recover from his injured knee in time for the World Cup. Unfortunately, his absence was confirmed on June 2 and without him in the squad, it has to be said that this team does look a lot less dangerous. Nevertheless, Colombia are still highly rated according to the FIFA World Rankings, where they appear in a very honorable 8th place. As for winning the World Cup, bookmakers' odds suggest that they won't have many chances since they are currently behind a 41-times factor-payoff. 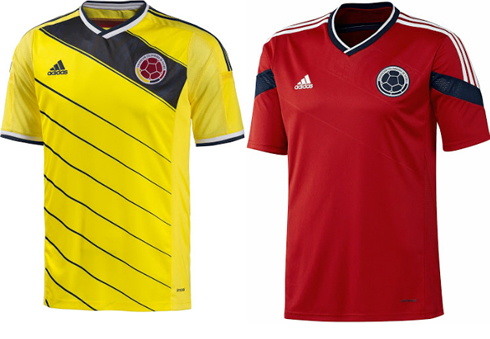 Colombia XI: Mondragon; Zuniga, Yepes, Arias, Zapata; Guarin, Cuadrado, Mejia, James Rodriguez; Bacca, Jackson Martinez. The Greek National Team will make their 3rd appearance in a World Cup tournament and they are currently the National Team having the highest discrepancy between their FIFA World Ranking (12th) and their sport markets odds for becoming World Champions (they are behind a 301-times payoff). Their greatest achievement ever was beyond any doubts having won the European Championship in 2004, after beating the host nation Portugal in the tournament's final. Even on that year, many football pundits weren't very fond of their very defensive playing style, but that's something that usually doesn't bother much their own fans, as long as it keeps bringing them results and getting them into the final stages of the major competitions. They'll have a great opportunity to go through into the knock-out stages in this World Cup, since in theory, their team doesn't look much inferior to neither Japan or the Ivory Coast. They recently tied with Portugal in a friendly ahead of the tournament's kickoff and they'll have in a very experienced Katsouranis and in an incredibly talented Samaras their best hopes of setting the difference. Greece XI: Karnezis; Torosidis, Sokratis, Manolas, Holebas; Maniatis, Katsouranis, Tziolis, Salpingidis; Mitroglou, Samaras. They are one of the strongest African Teams in this World Cup, if not the strongest... The Ivory Coast qualified for this tournament after easly getting past Senegal in a 2-leg playoff and this summer they'll be making their 3rd appearance in a World Cup final stage. The team who is also known as "Côte d'Ivoir" (French name) or "The Elephants", are currently in the 23rd spot of the FIFA World Rankings standings and in the event of them winning the FIFA World Cup, a single euro can return its investor a total payoff of 126 euros! In a team led by two heavyweights such as Yaya Touré and Didier Drogba, we feel tempted to say that if their teammates rise to the occasion, then this Ivory Coast side have more than legitimate hopes of going further in the competition. They also have several other quite experienced players in different positions of the pitch and they are definitely one of our favorites to go through in this group. 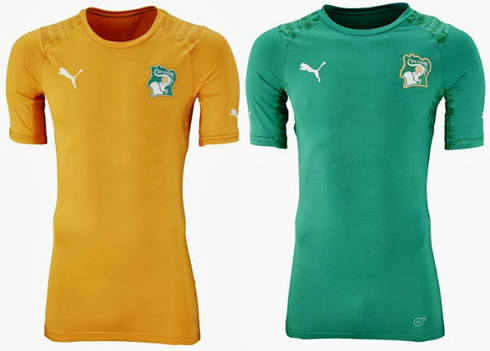 Ivory Coast XI: Barry; Boka, Bamba, Aurier, Kolo Touré; Tioté, Serey Die, Gradel, Gervinho; Didier Drogba, Kalou. The Japanese Team avoided playing any playoffs after finishing on the top of their group in the AFC qualifiers. In order to accomplish such feat, they finished in front of Australia, who were left 4 points behind them. This will be the 5th time they make it to this stage of the World Cup and their chances of succeeding all the way until the final day of the tournament are rated with odds set at a 151 factor-payoff. 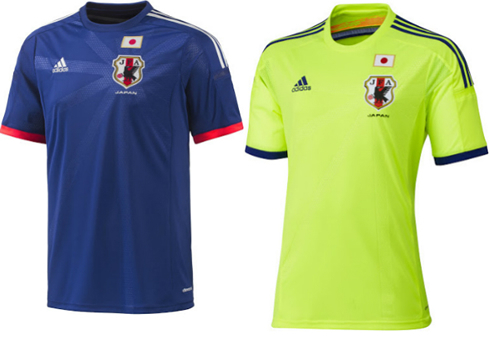 Ranked 46th in the FIFA World Rankings table, Japan is Asian's strongest squad in the tournament. Their biggest stars are Manchester United's Shingi Kagawa and AC Milan's recent signing, Keisuke Honda. They'll have a very tough debut game against the Ivory Coast on June 14, but if they manage to pick up the 3 points from that match, they'll immediately get in pole position to go through into the last-16 knockout stage. Japan XI: Nishikawa; Konno, Uchida, Yoshida, Nagatomo; Okazaki, Kakitani Endo, Yamaguchi; Kagawa, Honda. Cristiano Ronaldo upcoming game will be a friendly between Portugal and Ireland, scheduled for June 10 of 2014, in New Jersey. You can watch Juventus live stream, Portugal vs Ireland, Spain vs El Salvador, France vs Jamaica, and USA vs Nigeria, all matches provided from our soccer live stream pages.